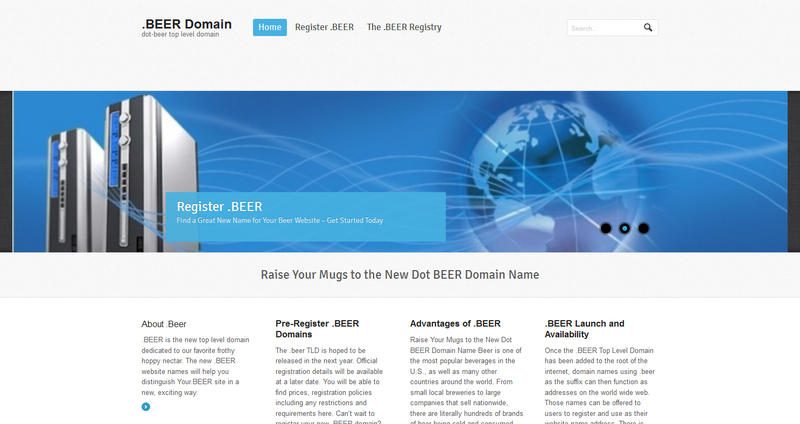 The New Domains Are Here – What Will Your .beer URL Be? Beer is taking over the world. 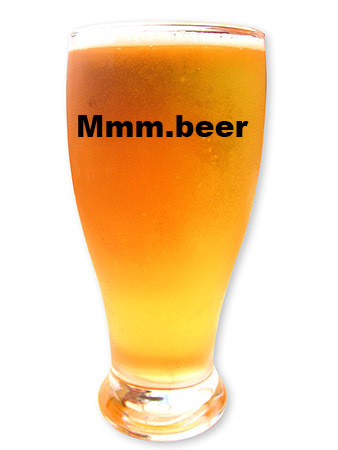 As early as this September, you will even be able to register a domain name with the suffix .beer. This is not a joke. Seriously, though, one of the more recent small breweries to open in my home city of Louisville, Ky., is Great Flood Brewing. How cool would the URL GreatFlood.beer be for the owners of that business? The Internet Corporation for Assigned Names and Numbers (ICANN) has been rolling out these product- or industry-specific vanity names since last year; they are known as known as “generic top-level domains,” or gTLDs. Late last year there were maybe a couple dozen of these domains. Currently, more than 1,300 gTLDs are in queue to be “delegated,” meaning they then become part of the Internet’s “root code.” That means they are recognized by the Internet. But .beer? For a beer writer and all-around beer enthusiast, it staggers the imagination. I have a beer blog at 502Brews.com, but what could I have named it if I’d known .beer was available? 502.beer would be perfect. The folks at ICANN know beer is taking over. If this catches on, think of what’s about to happen in the world of corporate beer. Marketers starving for ideas – at least based on the silly commercials I see during football games – have a whole new toy at their disposal. But these domains won’t be open to so-called “squatters,” or people looking to steal a brand name. If your name is Joe Miller, you can’t automatically register Miller.beer because, clearly, that suggests a brand name that Joe Miller from Somewhere, U.S.A., doesn’t have a trademark to. According to the .beer Registry website, specific URLs will actually become available to specific parties at different times and prices. Trademark holders will need to register with the Trademark Clearinghouse for authentication. Once the process of handing out trademark .beer URLs is complete, then comes a “landrush auction,” in which a URL claimed by more than one party would be auctioned off to the highest bidder. Open registration – which is first come, first served – would begin after that. For those who want a specific URL – Brooklyn.beer, anyone? – there is also a watch list. The timeline on how this all plays out isn’t clear, but it’s coming. It’s an interesting concept, and it was inevitable when you stop to think about it. It will be even more fascinating to see if these new domains grow. In five years, they may be fair game to us all, for all we know. Heck, maybe even sooner. I’m already envisioning my URL as being OneMore.beer. Or hell, maybe just Mmmm.beer. And in case you are wondering – yes, .wine is one of the many gTLDs coming available, along with .bar and .pub. Can .booze be far behind?